Born in Yorkshire, Sarah Fox is one of the leading English sopranos of her generation. She was educated at Giggleswick School, London University and the Royal College of Music. A former winner of the Kathleen Ferrier Award and the John Christie Award, she is also an Honorary Fellow of Royal Holloway College, London University. She is equally at home in many musical genres including opera, folk song and musical theatre. Her roles at the Royal Opera House, Covent Garden have included Micaela (Carmen), Asteria (Tamerlano), Zerlina (Don Giovanni) and Woglinde (Der Ring des Nibelungen). Other highlights include Asteria in Munich and Barcelona (opposite Domingo); Zerlina at Glyndebourne and in Cincinnati; Woglinde for Salzburg and Aix-en-Provence festivals; Susanna (Le nozze di Figaro) for Glyndebourne and The Royal Danish Opera; Ilia (Idomeneo) with De Vlaamse Opera; and Mimi (La bohème) for Opera North. Her prestigious concert career has taken her worldwide, and she has worked with many leading orchestras and conductors. She has appeared several times at the BBC Proms, the Edinburgh Festival and the Three Choirs Festival, and sings regularly with the Classical Opera Company at London’s Wigmore Hall. 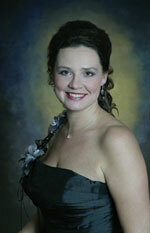 She is also a highly accomplished recitalist with a particular affinity for French song. She is a regular guest on BBC Radio 2’s Friday night is music night; and she was a judge on the second series of BBC TV’s The Choir: sing while you work with Gareth Malone. She has recorded for EMI Classics, Warner Classics, Signum and Chandos, as well as for Hyperion.